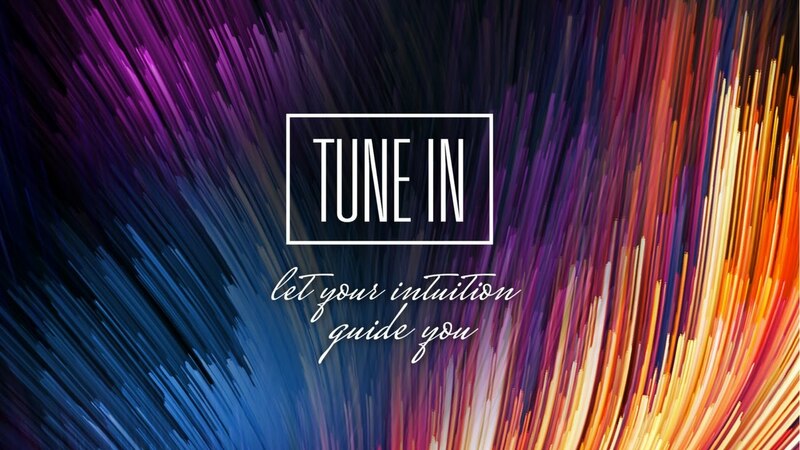 Tune In by Sonia Choquette is a system designed to be used to gain really powerful insights from the 6th sense. It gives a clearer idea of your life’s purpose, the direction of your career, and the surest and fastest way you can get the health you want. It’s an effective system that will help you achieve abundance and greater things in life. It can even help you solve problems that have been keeping you up all night these past few days. What makes this extra interesting is that its author is a world-renowned vibrational healer and six-sensory spiritual teacher. She is in demand worldwide for her wisdom, guidance, and capacity for soul healing. The system revolves around a four-step formula that will help you unleash your intuitive powers. And as you learn how to do that, you will also learn how you can apply it to the other areas of your life. With that, the course is divided into four chapters with each chapter having three to four sections. Each section has a 10-minute video to help you absorb and process as much information as possible. To begin your journey, you’ll need to stop looking for other people’s direction, approval, and ideas. In this chapter, you’ll learn how to be in full control of what’s happening to your life. It will wake you up to what’s really happening to everything around you and inside your body. You’ll develop a keen sense of the obvious as well as the real problem. In this chapter, you’ll go a bit deeper. It’s an exciting phase since this is where you’ll learn to say what you feel and go beyond the giant curtain that’s blocking your way to your inner true self. And once you get started digging deeper for reasons to rely more on your intuition, you’ll notice how the universe is sending you subtle affirmations that what you’re doing is right. It will feel magical that you’ll be intoxicated to keep doing it. This is where you actually go and take the leap. It’s the phase where you move beyond parameters and safely rely on your ego and the inner voice inside your head for guidance. For starters, the process can feel like taking a leap and jumping off a cliff. To be successful in this chapter, you need to surrender your ego to the higher wisdom. You need to understand what your ego already knows and that you still have a long way to go and so many more things to understand. This chapter is where you start entering the flow and allowing your spirit to take over. You’ll receive guidance, direction, positive surprises, and gifts from the universe. With that, you’ll learn how to trust the universe more to care for you and guide you in every situation, good or bad, you encounter. By expecting assistance for any problem, you’ll be able to achieve it. As the final chapter, this is the point where you’ll have authentic freedom and a sense of total control over your life. You’ll be able to have the courage to let go what other people may think and disregard their reactions to your life and how you live it. Apart from those chapters, you will also get highly valuable bonuses. For one, you’ll receive guided meditations you can use upon waking up, when digging deep, when you need to take a leap, and whenever you need to enter the flow of meditation. You will also get a visual journey video that will help you experience peace and calm as you go through your journey. The course also comes with four workbooks you can use for practice and reference. All those things sound a little too good but the nice thing about the program is that it can actually work- granted that it’s strictly followed and practiced daily. Even if you don’t believe it 100%, you’ll still experience a life-changing improvement in your life and work. There are students who were able to experience dramatic results in just hours. If you don’t like it or if it doesn’t work for you, you can get a refund at the end of the 90 days of trying it out. Developing a high level of intuitive awareness is a big help to anyone’s life. It’s not something you can get or learn outside but it’s something you need to develop within and by yourself. You’ll have a better ability to recognize the intuitive voice inside you which can help you come up with the best decision for your current situation. You’ll be able to catch people who are lying to you and trying to deceive you. It can help you make the right career decisions as well as decisions related to your health. It’ll allow you to experience an easier flow in life. You’ll struggle less while achieving more wonderful things. It’ll magnetize money into your life and it’ll give you a lot of great opportunities. It’ll let you experience better intuition in every area of your life. The course is for everyone, particularly those who are looking to change their current beliefs and situation. Even newbies who don’t have any idea about energy and intuition can benefit greatly from this course. To get the program, you don’t need to wait for anything. Once you sign up, you’ll be redirected right away to an exclusive private members area where you can share experiences and gain more insights. There are students who managed to experienced big results in just hours. This is impressive when compared with most courses that can take weeks and even months before results can happen. In addition to students’ experience, Sonia’s experience can be enough guarantee of its effectiveness. The course is a product of her deep and extensive experiences in the field and she shared them in a way that is easy to understand even for beginners. The concepts are bite-sized and easy to understand. There’s no need to wait for the course. It works even for people who don’t have 100% belief in it. There’s no prior experience needed. It’s like getting a one-on-one session with Sonia. There’s an option for a refund. It comes with a customer support you can reach out to anytime you need help. It features similar stories to Sonia’s other books. Compared with most courses, this one is more affordable. You only need to pay $199 once or get billed $119 for 2 months for a flexible payment option. With that price, you’ll get free bonuses which makes it worth more than what you paid.